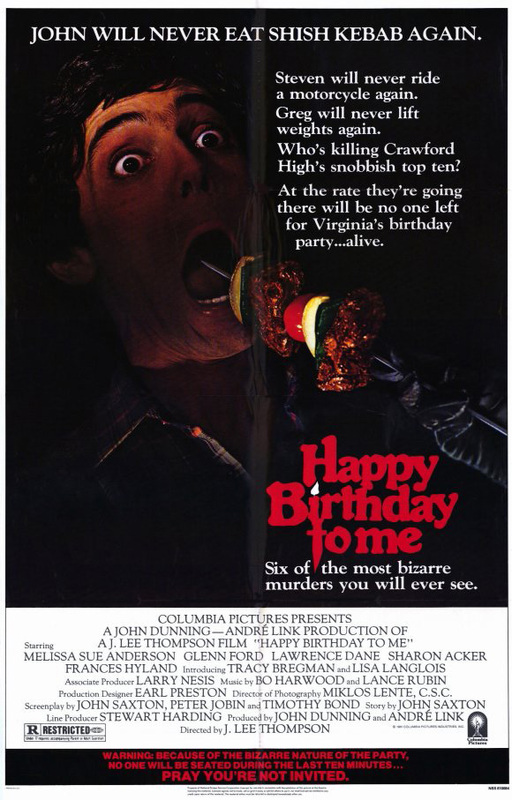 Happy Birthday To Me (1981, Canada) is a Slasher film directed by J. Lee Thompson. You're invited to the bloodiest party of the year. Pray You're Not Invited To The Party. This page was last modified on 5 January 2019, at 13:03.